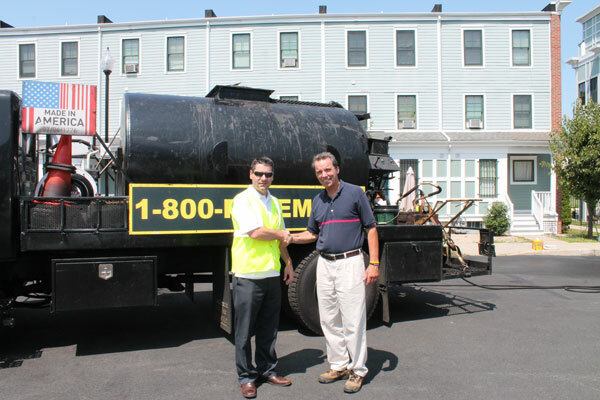 Habitat for Humanity Greater Boston is pleased to announce that U.S. Pavement Services is donating sealcoating and line painting for the 17,000 SF parking lot at Blue Hill Place in Dorchester. Blue Hill Place is Habitat Greater Boston’s largest single project to date, and includes 24 Habitat homes and one commercial unit. The donation will help provide important cost savings and benefits for Blue Hill Place owners. Sealcoating the lot will ensure its longevity and minimize future repairs; and the line painting of new parking spaces will provide clear and safe markings for vehicle parking. U.S. Pavement’s donation came about after their CEO, Mike Musto, heard more about Habitat for Humanity’s mission. “U.S. Pavement Services is happy to be able to give back to an organization such as Habitat for Humanity, which provides invaluable services to the community,” said Musto, President & CEO, U.S. Pavement Services, Inc. “We welcome the opportunity to help them out,” noted Robert Pappalardo, VP of Business Development at U.S. Pavement Services. Habitat for Humanity of Greater Boston services the entire Boston metropolitan area, encompassing 25 towns and cities, including Woburn, the home of U.S. Pavement’s national headquarters. If you want to get involved, head to www.habitatboston.org for more information. Habitat for Humanity Greater Boston is a Massachusetts charitable nonprofit organization established in 1987 to serve the City of Boston and the surrounding 25 cities and towns as an independent affiliate of Habitat for Humanity International. Our mission vision is a world where everyone has a decent place to live. We build simple low-cost homes by forming partnerships with low-income families in need of safe, decent, and affordable housing. We believe homeownership is a linchpin to neighborhood revitalization and helps to break generational cycles of poverty. For more information about how to get involved, visit www.habitatboston.org. 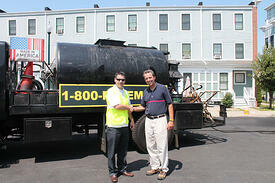 About U.S. Pavement Services, Inc. Since 1985, U.S. Pavement Services has been providing the most comprehensive and professional pavement services in the industry. 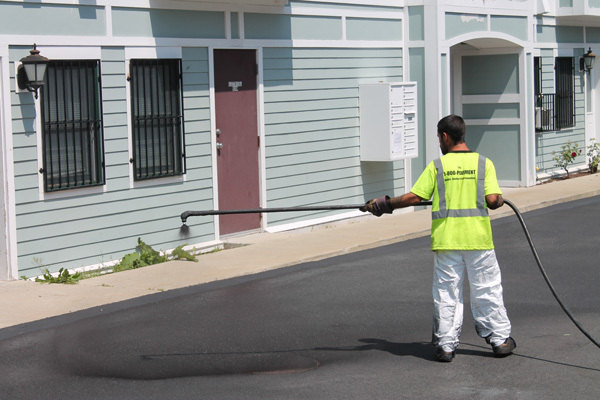 U.S. Pavement is the leading provider of: paving; sealcoating; crack filling; line striping; and asphalt and concrete services, in the United States. The Company has experienced strong growth over the past 30 years, as well as 20% growth in 2014. Clients include major national office complexes, restaurant chains, educational institutions, hospitals, retail properties, and hotel chains throughout the United States. 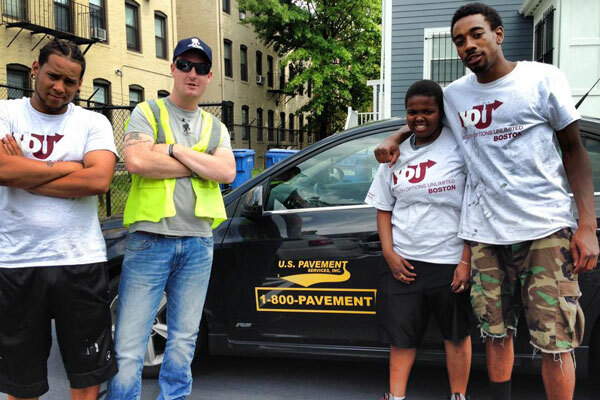 To learn more, please call 1-800-PAVEMENT or visit U.S. Pavement Services at www.uspavement.com.